Tracey Barber opened Lyons Quilting on August 1st, 2013 after the purchase of inventory from another store in town that has closed. After a great six weeks and making it through our grand opening celebration, we had the Lyons Flood of 2013. Our amazing new location saw no damage at all but we were closed for nearly a month due to lack of access to town. We are now reopened and having a blast. It only took two years for us to outgrow our location so we purchased a large building that suits all of our needs. Lyons Quilting is the premier shop in Colorado with over 6,500 bolts of fabric. Our homey feel, bright lighting, great parking and friendly staff will add to your experience here. Lyons Quilting carries a wide array of fabrics including basic cottons, novelties, 30′s, flannel, minky and batiks. We carry all of the Kona Solids, a wide variety of Kaffe Fassett Collective and over 1,500 batiks! The owner of Lyons Quilting, Tracey Barber, has been quilting for over thirteen years. 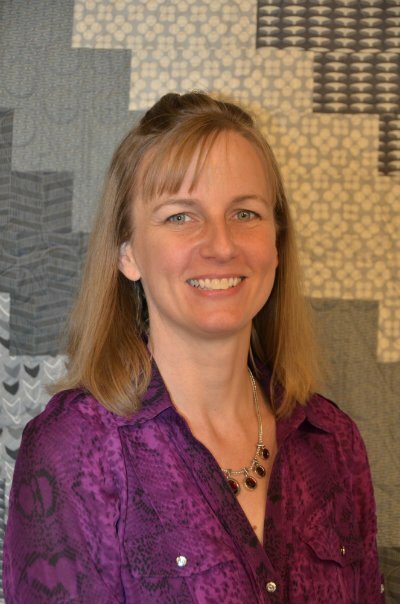 She is an award winning quilter that loves to teach classes to share her passion. She prides herself in carrying the most beautiful batiks which are her absolute favorite!